My living room has become my work area with track lighting and a wall full of colors. 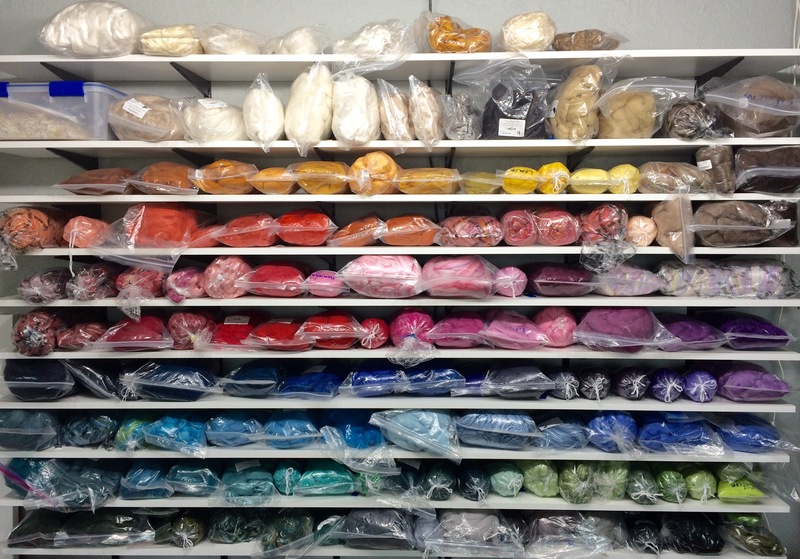 Originally I had all my wool in sealed up plastic boxes but that was too difficult when I wanted to work. After seeing all the wool out and easy to get to at Alpacas at Marquam Hill Ranch, I decided to keep my wool more accessible. I asked Bill at the ranch if they had problems with moths. He said no but they also use natural deterrents such as peppermint oil to ensure that the moths will stay away. I will adopt that idea and keep my wool easier to get to. Previous Previous post: Wall hanging finished!